Mike was born in LaSalle, Illinois in 1969. He graduated from LaSalle-Peru High School in 1987. He received his Bachelor's Degree from Illinois State University in 1991 and Master's Degree in 1992. He graduated from Southern Illinois University School of Law in 1996. Mike joined the firm in 1997. 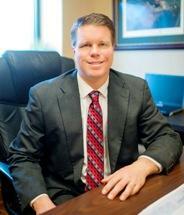 His practice is concentrated in plaintiff's personal injury, worker's compensation and premises liability claims.